NPS International School, Chennai, has been set up to provide to the increasing international demand for high quality education in the context of a rapidly globalising educational scenario. National Public School (NPS) is the flagship brand of the over 5 decades old pioneering group of educational institutions headquartered in Bangalore, India. The group has an enviable track record of academic excellence over 53 years, educating each year 15000 children over eight campuses. 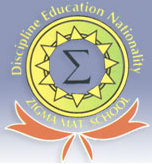 An educational institution of international repute, NPS is a benchmark for many other schools. Online Â AdmissionsÂ are open for class MontÂ from Nov 9, 2018Â for the academic year 2019-20. School will start accepting the application forms from 6th November, 2016 still 23rd December, 2016 for the academic year 2017-18. Transport Fees: Rs. 30,000/- approx.